You Are Amazing (and oh by the way, you are!) needlepoint accent pillow is part of our Daily Affirmations and will help keep you on track in such a happy and beautiful way! 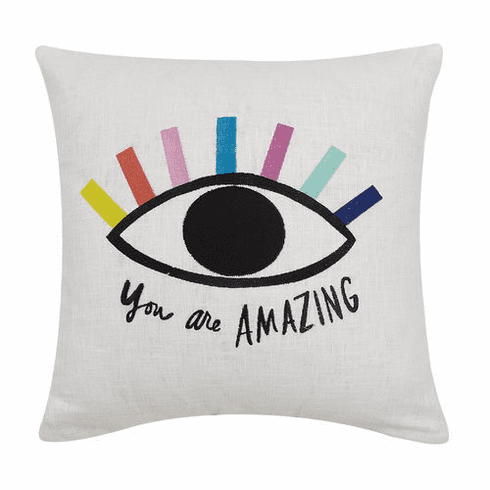 95%Ramie, 5% cotton, You are amazing decorative pillow measures 16"sq.